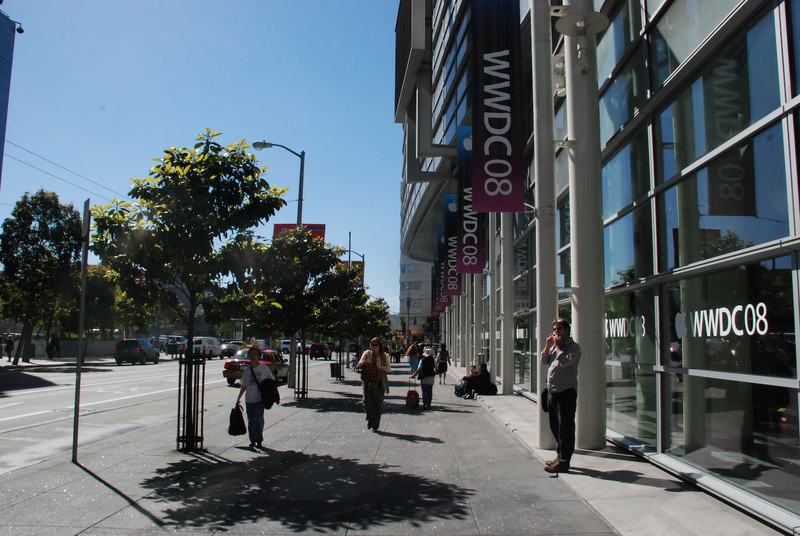 Since 1996, every year at its annual Worldwide Developers Conference, Apple has awarded the most innovative Macintosh software and related hardware produced by independent developers with a Design Award. 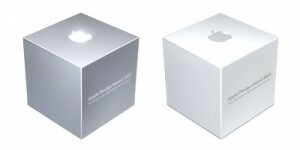 Apple Design Awards are given away on a number of categories that vary from year to year. The physical awards have an Apple logo that glows when touched. This years Award Ceremony begins at 7:30 PST (10:30 EST). We will be bringing you live coverage with photos throughout the awards below. FotoMagico by Boinx Software Ltd.
Command & Conquer 3 Tiberium Wars by Electronic Arts Inc. Guitar Hero III: Legends of Rock by Aspyr Media, Inc.
3:17 PM (PST) [Matt]: The Apple Design Awards post is live and Sidney will be lining up about an hour and a half in advance (about 6 o’clock PST). 4:56 PM (PST) [Sidney]: I’m in Presidio for another session. I might score a top seat while I’m here and just hold onto it. 4:56 PM (PST): I’ve taken my seat, this time slightly farther right, next to the left presenter display to better see acceptances. In my opinion it’s the best in the house. 7:49 PM (PST): Liveblog is up and running at live.theilife.com- check it out. Pictures to follow, on this post. Transcript of the event will be added later. 8:30 PM (PST): Event is over, everything from the liveblog has been transfered to this post, more pictures coming very soon (~15 minutes)! 9:18 PM (PST): All photos from the ADA are live, gallery is just after the jump! Today was a very relaxing day. After being up for more than 40 hours, sleep was appreciated. This morning things got started late as a result of lack of sleep from the previous two days. Unfortunately because of the NDA agreement of WWDC, we are unable to report very much information back to you guys, but we are doing our best. This evening, Sidney went around to various afterpartys- one from Savant Systems, not being allowed into the Ars/Gizmodo party (21 and over) as well as a local Apple user meeting. Before we call it a night, here is a summary of today, some in pictures, some in videos and some in text. Remember to stick with theiLife.com for continuing coverage of WWDC 2008 via our Liveblog and Twitter throughout the rest of this week! If you would like to request anything or meet up, please contact us!